HAMweather (July 20, 2009). 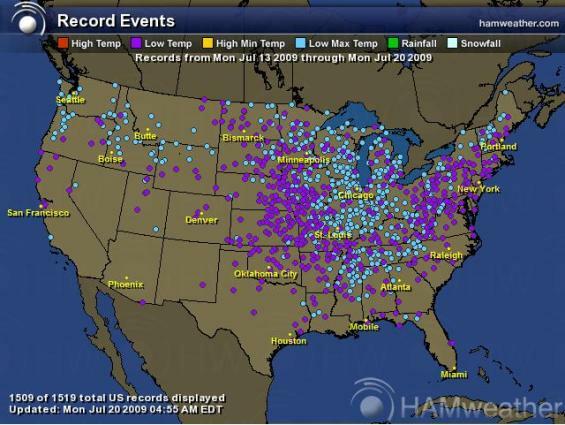 Once again, cold records are far more frequent than warm records these days. In fact, record low temperatures are occuring 300% to 400% more often than record warm temperatures. This holds true to the fact that our planet has been cooling for over a full decade now.